These wedges are made for walking, but you can also just display them for good measure because they look more like collectible works of art than actual footwear. 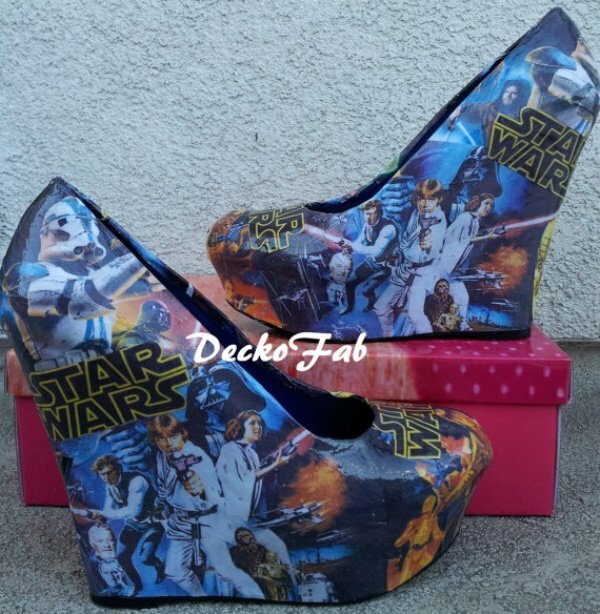 These Star Wars wedges, for example, feature the most noted characters from the hit franchise, from Princess Leia and Luke Skywalker to Darth Vader and several of his Stormtroopers. 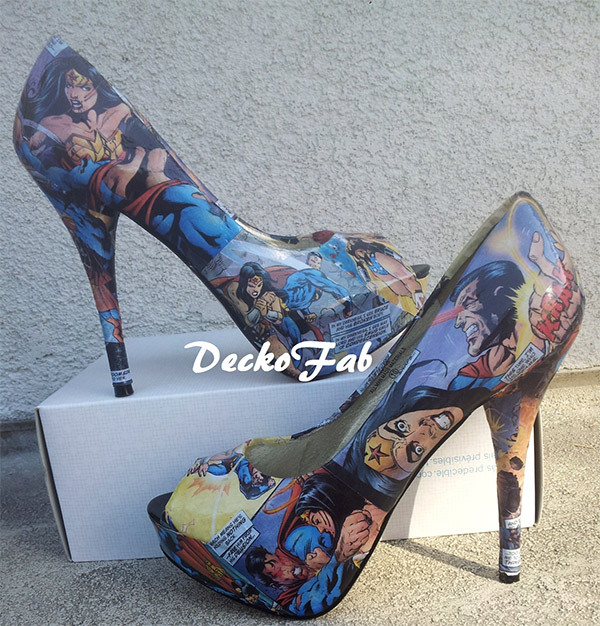 If you’re not much of a Star Wars fan, then maybe superhero-themed pumps and heels featuring the likes of Superman, Captain America, Dredd or Wonder Woman is more up your alley. They’ve even got some Robocop high heels. Now I’d buy that for a dollar! 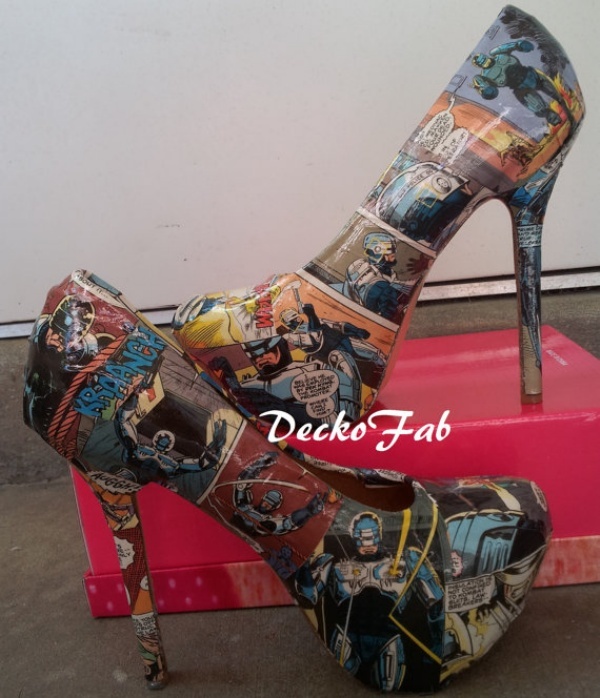 These fancy footwear are made-to-order by Etsy decoupage artist DeckoFab. They take custom orders, too, so if you’re a huge fan (or troll), then you can put in an order for an all-Jar Jar pair of wedges for good measure. The wedges cost $115(USD), while the high heels are priced at $85. You can check them out at DeckoFab’s Etsy store.